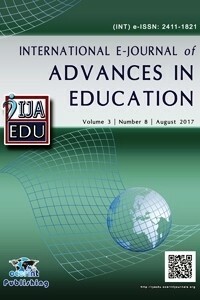 International e-Journal of Advances in Education (IJAEDU) is a high-quality open access peer-reviewed international online journal. It is published triannual (April, August, and December). IJAEDU welcomes research manuscripts in all fields of education. Karagod V.S., Golubeva N.A., Erokhina E.I.